Fans of Airbnb are familiar with the travel site's unique and rather unusual array of properties — from Mongolian yurts and Dutch windmills, to an unforgettable stay inside thecatacombs of Paris and the hippie tree house with a six-month wait list . But the company's latest listing might be its most exceptional to date. 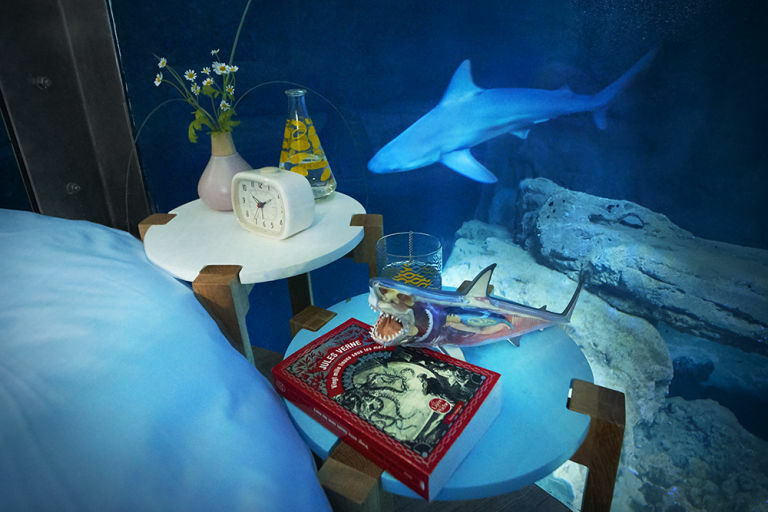 In a partnership with the Aquarium de Paris, Airbnb is providing adventurous travelers with the opportunity to sleep with the sharks. The thrilling sleepover is part of a competition initiated by the aquarium to educate people on these misunderstood predators and their importance to the ecosystem. 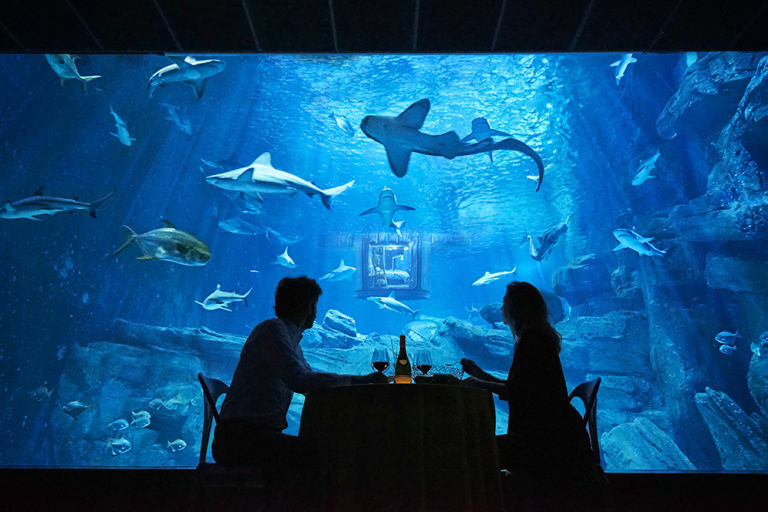 From April 11th-13th, three lucky winners and their guests will receive an exclusive behind-the-scenes tour of the shark aquarium, led by a marine biologist and world record-breaking freediver and shark conservationist Fred Buyle. After enjoying a tank-side meal, guests will sleep in Airbnb's first submarine bedroom. Specially designed for the aquarium, the cylindrical bed is submerged over 30 feet underwater and enclosed by a 360-degree transparent wall, providing uninterrupted views of the pool's 35 sharp-toothed residents. 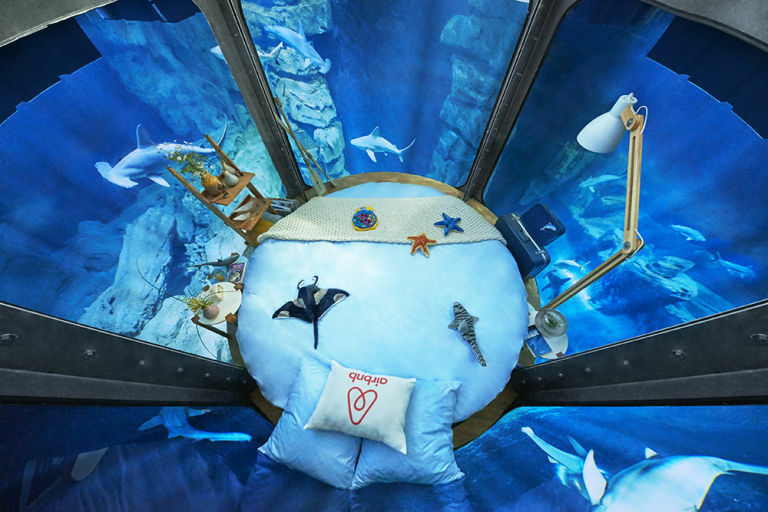 The bedroom will remain at the Aquarium de Paris after the competition as a study center for biologists. Want to spend a night with the sharks? The contest deadline is 6:59pm ET/3:59pm PT on April 3rd, 2016.